To obtain copies of your medical records, you may print the "Authorization for Release of Medical Information" PDF form and mail it directly to the facility or specific office you are requesting records from. We do not accept requests for medical records by e-mail over the Internet. Please allow 7-10 business days for your records to be copied. Please complete the authorization form, include all information requested and be specific as to dates of service or the types of reports needed. 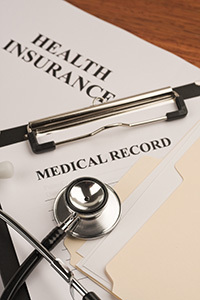 If the record is being released directly to your private physician or another health care facility, there is no charge associated with copying your records. If you have a follow-up appointment, be sure to include the date of your appointment. However, if you request copies to be released to yourself or others, there are photocopying charges.